I just previewed an exciting line of compact vegetable plants, ideal for growing in containers. You don’t have to worry about supporting mile-long tomato or cucumber vines, because these new varieties stay compact by design! I want to help you overcome your objections so you can begin planting your first vegetable garden. I took a “first peek” at Burpee Home Gardens‘ new line of ready-to-plant vegetables while I was at their facilities taping for my Garden World Report show. My eyes widened as Jessie Atchison, brand manager and blogger for Burpee Home Gardens, led me through the aisles of fragrant herb plants, tomatoes, peppers, cucumbers and more! I grow starter plants from seed for my edible garden clients to ensure quality stock and to have access to a variety of vegetables and herbs. But, planting from seed does require a longer growing period and time devoted to nurturing along a baby plant. 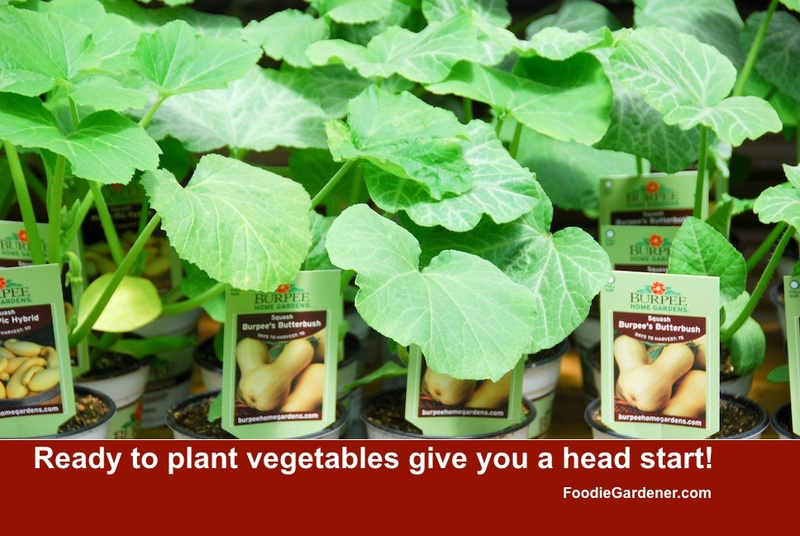 Transplants are the way to grow vegetables so you can reduce the time from planting to enjoying food on your plate! You can now buy vitamin-enhanced vegetable plants from Burpee’s “Boost” line, so there are a lot of options. I took a look “under the hood” and found plants with robust root systems, strong stems and healthy looking leaves. Using transplants instead of growing by seeds will shave off a good 4 to 6 weeks from your gardening schedule. 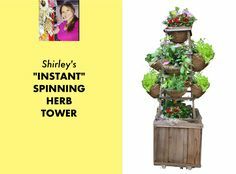 Small vegetable garden designed by Shirley, the Foodie Gardener! Another one of my favorite solutions that Burpee offers is compact varieties of tomatoes, cucumbers and other edible plants that are bred to grow in containers! So, if you live in an apartment or have a small yard, get ready for your edible garden! Bush Champion II– Big, meaty fruit on extra-early and compact tomato plants. Berri Basket® White– Everbearing, compact and bushy plants bear large, full-flavored strawberries. Bush Champion– These compact plants are perfect for small gardens and patio containers, producing huge 11-inch (28 cm) cucumbers great for slicing. Burpless No. 26– This very compact and productive Japanese type cucumber has smooth, dark green fruit growing up to 9 in. (23 cm) in length. These compact plants are perfect for small gardens and patio containers, producing huge 11-inch (28 cm) cucumbers great for slicing. Sweet Heat– Mildly spicy peppers are delicious raw or cooked. Pick them green or red. Better Belle- These peppers are vigorous, fast growers perfect for patio pots. 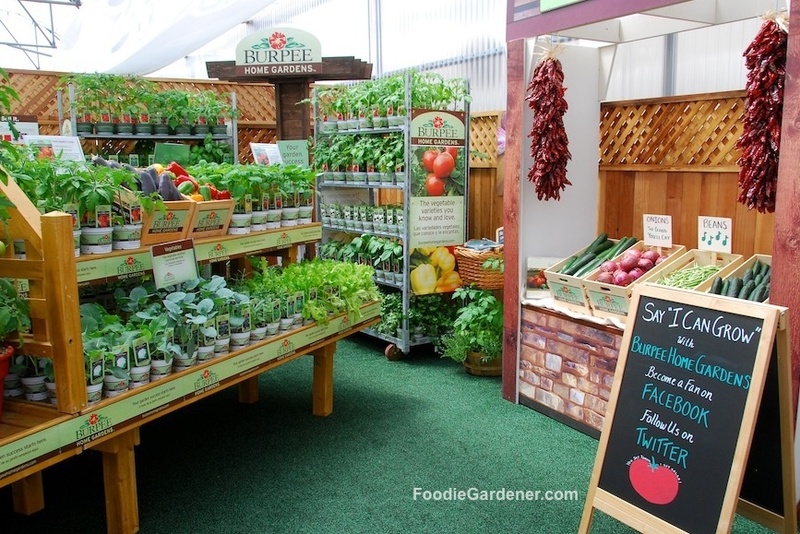 Burpee Home Gardens offers a free “Garden Fresh” guide to vegetable gardening! 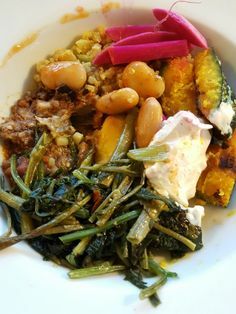 I know what I’m doing in the garden, but if you don’t, make sure to sign up for the Garden Fresh guide on the Burpee Home Gardens website and they’ll mail it to your home. 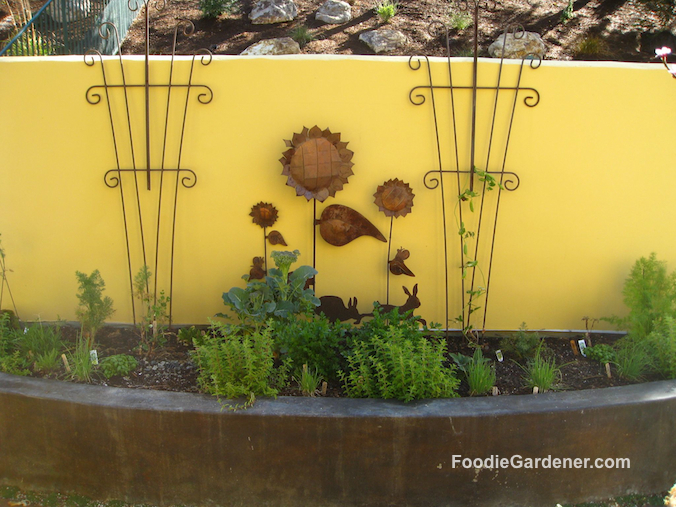 Do you have any questions for the Foodie Gardener? Don’t be shy, that’s what I’m here for!